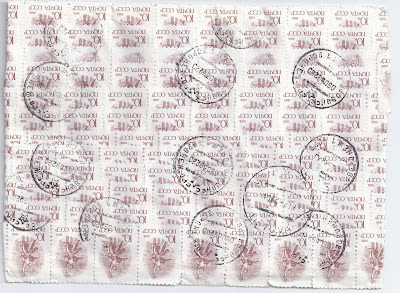 Commercial covers can be more exotic than anything fabricated by philatelists. 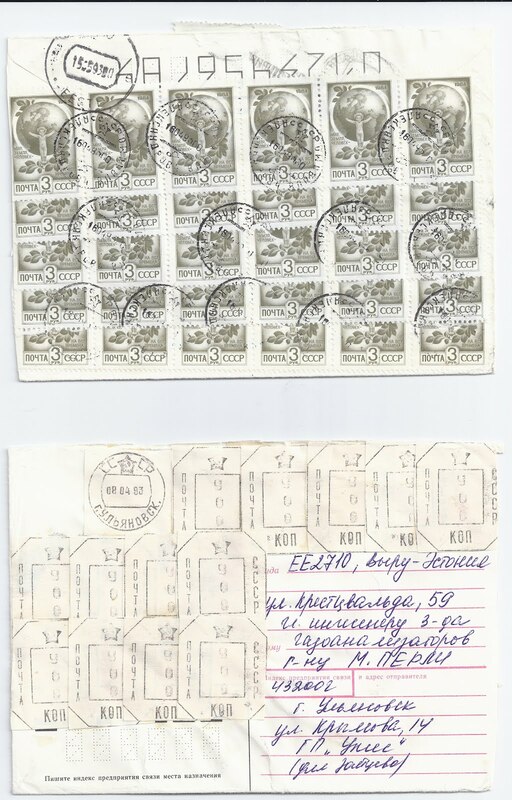 The three shown here must have involved an awful lot of work. 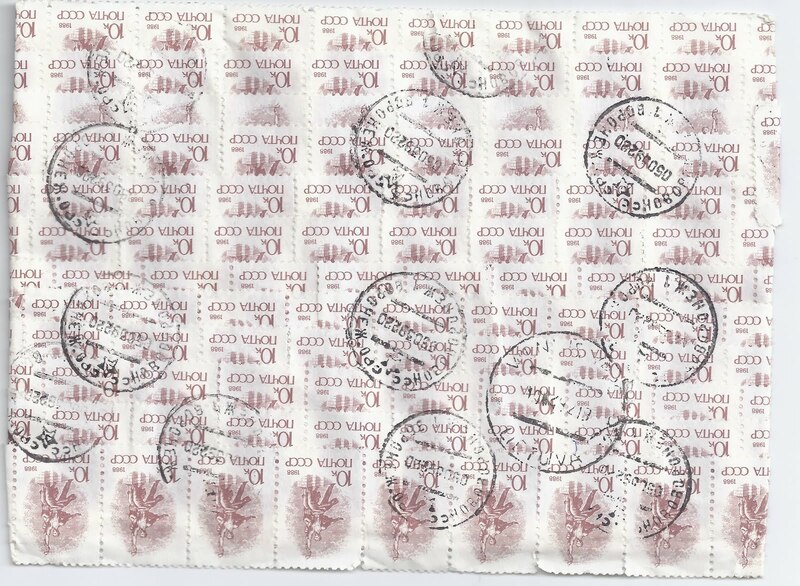 If you think philatelists are obsessive, what about the guys who franked these covers? 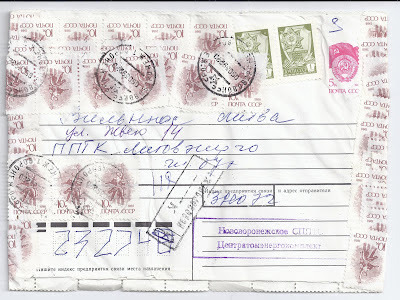 432002 ULYANOVSK 08 04 93 to VÖRU 27 4 93 franked 44 x 900 kopeck cut-outs (totalling 396 roubles) from a Soviet-period franking machine. 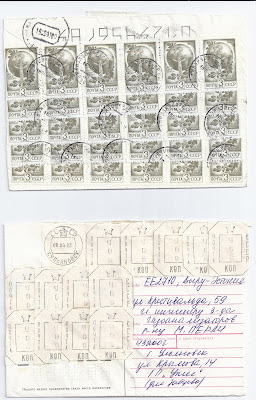 At this period, some offices modified their franking machines by scratching out "KOP" at the base and inserting "RUB". 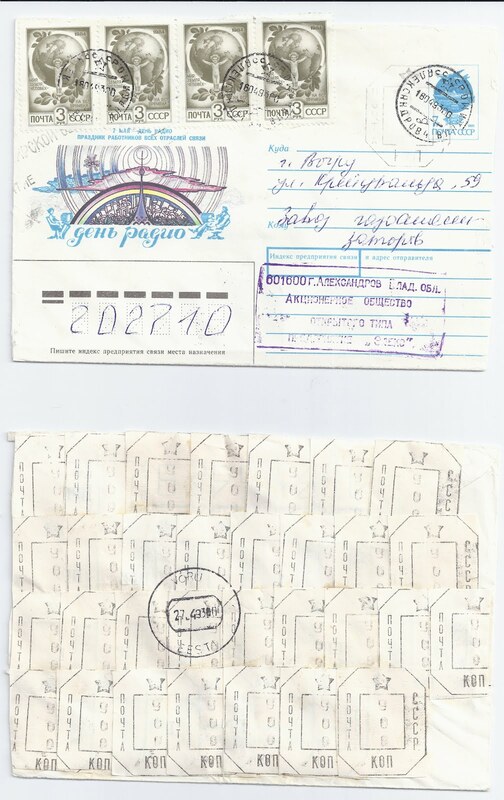 390072 NOVOVORONEZH 05 03 92 to VILNIUS [Lithuania] 10 04 92 franked - as far as I can tell - with 148 x 10 kopeck stamps which are cancelled together with 2 x 1 kopeck stamps which may have been originally applied to uprate the postal stationery envelope and have probably been ignored - or which may have been silently revalued to 10 kopecks to complete what was intended as a 15 rouble franking.